Researchers have shown that cancer cells do not necessarily have more changes in the DNA than healthy cells. The number of changes appears to be less relevant than the location in the DNA, according to research by Ruben van Boxtel. A human life starts with a single fertilized egg cell. That one fertilized egg cell divides itself into two and those cells then replicate again. This is how a human develops with 37 trillion cells. All body cells, whether they are blood cells, skin cells or brain cells, come from the same fertilized egg cell. Every time a cell replicates, it copies its DNA. Both daughter cells receive a copy of the DNA. During the replication something may go wrong and a change in the DNA, a mutation may appear. Usually this is not a big problem. That was also shown by the research done by Ruben van Boxtel, biologist at the Princess Máxima Center. Van Boxtel, together with his team, studied healthy blood stem cells from seven people of different ages. ‘Blood stem cells divide about once every 40 weeks,’ says Van Boxtel, ‘and we saw that eleven mutations occur during one division.’ The older the test subject, the more mutations the researchers found because the mutations accumulate over the years. Yet, these people were fit as a fiddle. 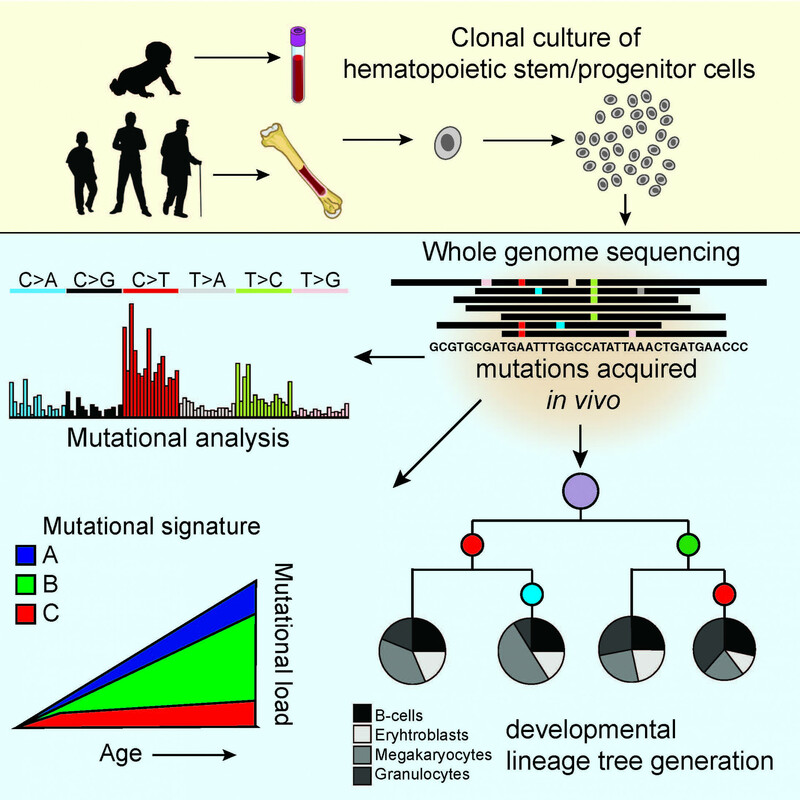 Nevertheless, mutations in blood stem cells may also lead to leukemia. ‘We thought that people with leukemia would have more mutations than healthy people, and that that was why they had cancer,’ says Van Boxtel, ‘but that is not true.’ Adults with acute myeloid leukemia have as many mutations as healthy people in their blood stem cells, is what the researchers showed in the journal Cell Reports. The place where the DNA is mutated seems to be decisive.